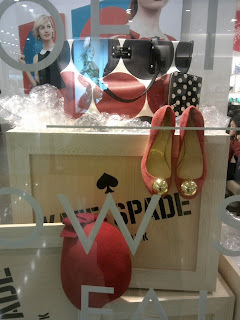 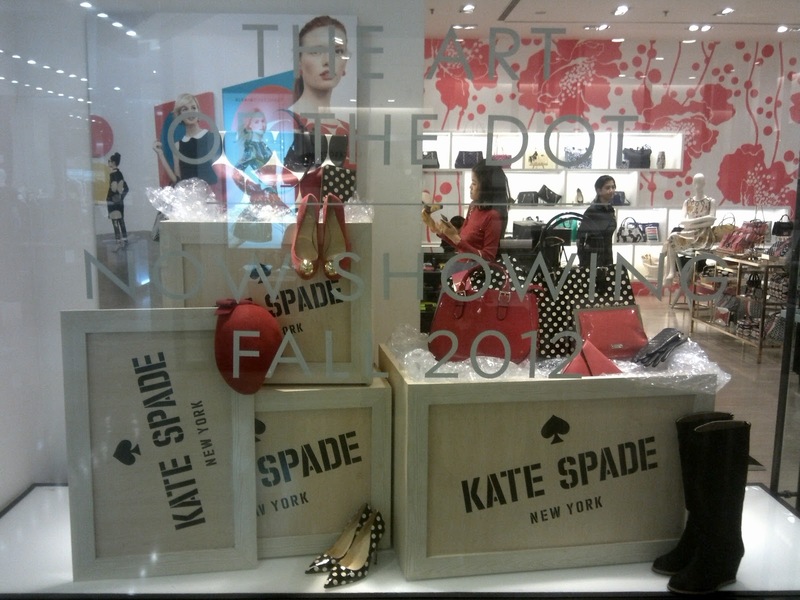 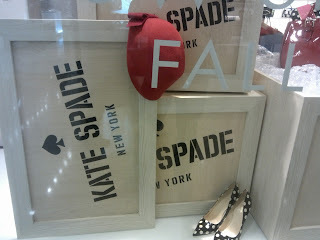 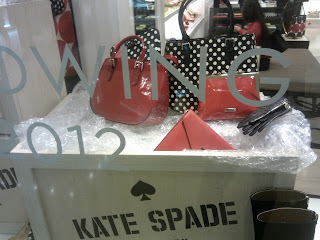 The concept of Kate Spade window display for Fall 2012 is the delivery of the goods it sells. Thus, there are some wooden boxes in open-up condition laying on the ground. 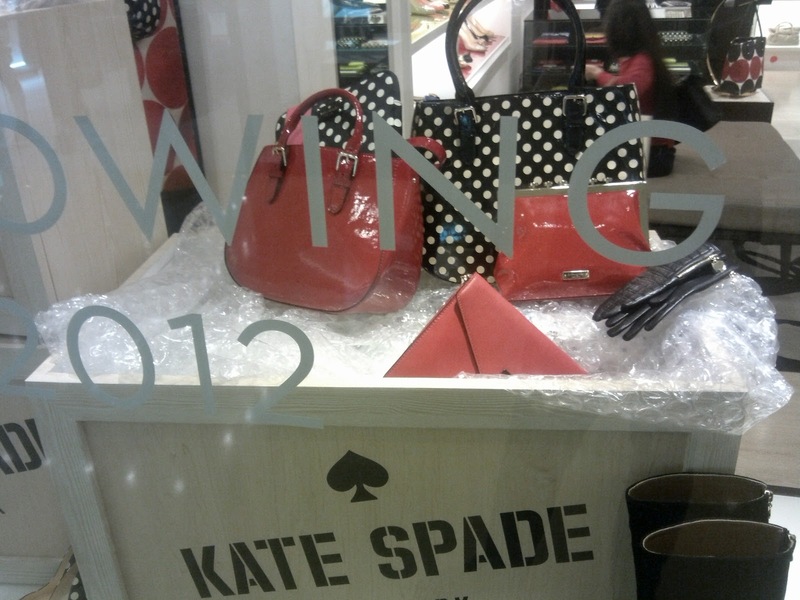 Inside we can see all the latest shoes, handbags, purses that put on top of plastics that cover them from the damage.